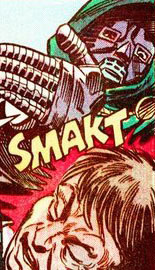 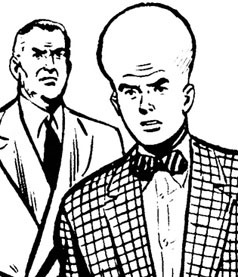 A GIANT COSMIC BEING WHO IS DEFINITELY NOT GALACTUS! 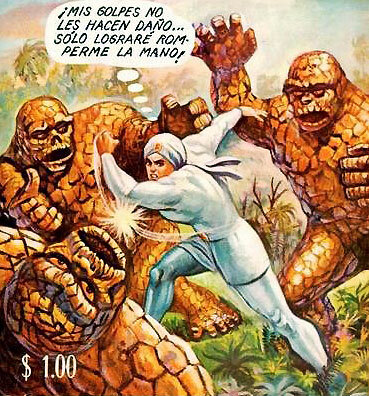 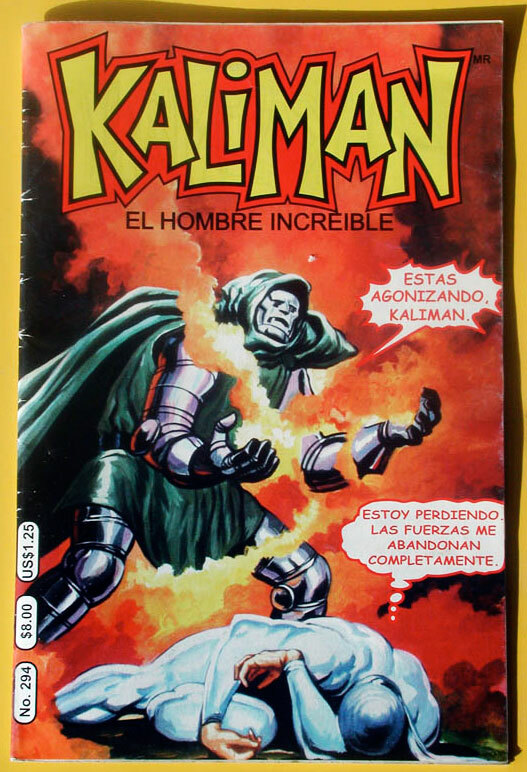 I especially like that last one — the way Kalimán kneeling on the edge of the cliff echoes the classic Silver Surfer-on-his-board pose is pretty clever. 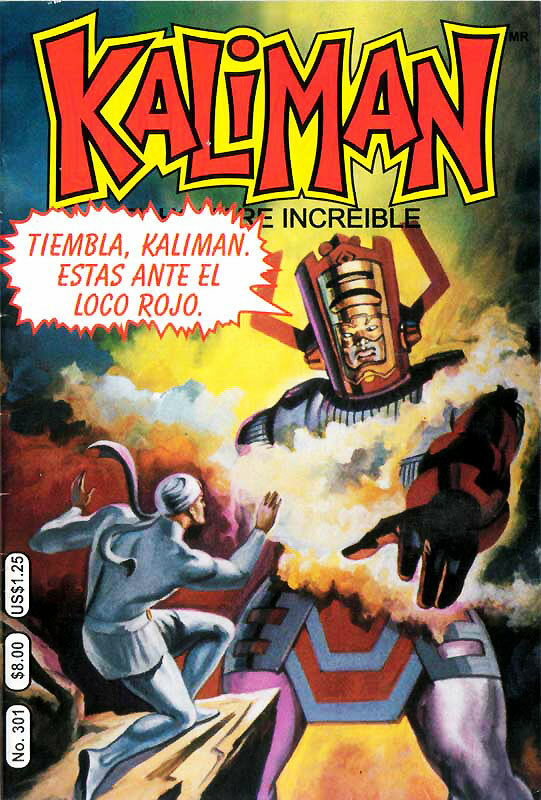 Now if you’ll excuse me, I’m going to go read an issue of Kalimán where he fights a robot that only almost looks exactly like the one from Lost in Space.